NOTE You need to be a global or billing admin to view your billing statement for Office 365 Enterprise, Office 365 Business Essentials, Office 365 Business Essentials, and Office 365 Midsize Business. 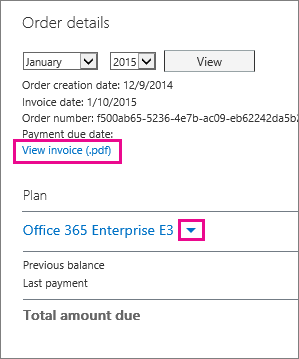 You just need to be an admin to view your billing statement for Office 365 Small Business. Sign in to Office 365 as an admin. Learn how to sign in. Click the app launcher icon in the upper-left and then click Admin. 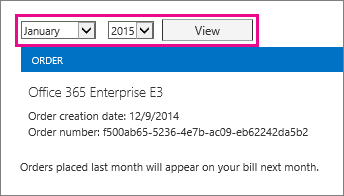 Under billing, choose View and edit subscriptions (for Office 365 small and midsized business subscriptions purchased through a partner). Choose the month and date of the invoice you would like to review, and then click View. To print or save a PDF copy of the invoice, click View Invoice (.pdf).